Welcome to the site. We created this site to help share some of the adventure of driving 4000 miles in to Africa in a car totalling no more than £100. Unlike the Paris to Dakar challenge, which remains one of the ultimate tests of man and machine, the Plymouth to Dakar is the ultimate test of faith over the laws of mechanics. Conceived as the ultimate ‘banger race’ the rules are simple – buy a car for less than £100, spend no more than £15 preparing it and then drive it from Plymouth (or Exeter in our case) to Dakar, around 4000 miles away. 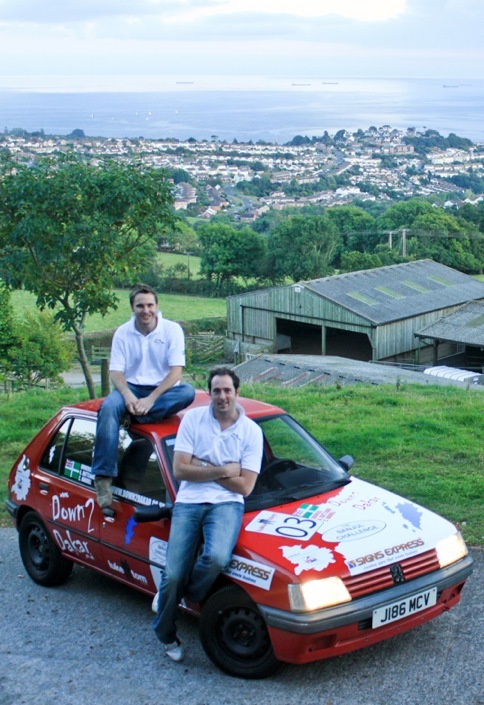 The cars are then driven from Dakar to Banjul in the Gambia where they are auctioned to raise money for local charities. To introduce us, we are Chris and Andrew (Pan), and have been good friends for most of our lives. We decided to do this challenge because it’s something that Andrew has always wanted to do (If you’ve ever met him you’d know why) and Chris has always wanted to go to Morocco (yes, there are easier ways before you say it!). Plus it’s a great way to raise money for Charity.